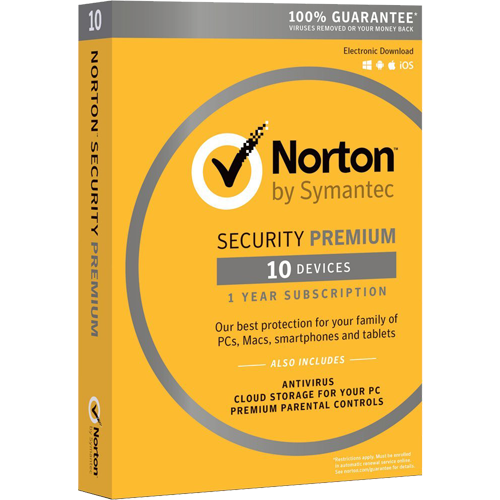 Very Cheap Software is proud to offer Norton Security Premium (1 Year / 10 Devices) [Download] at a very affordable price. We only select the best software available for download. We focus mainly on very cheap antivirus software to help you protect your important information and privacy from criminals. Check with us every year for very big savings. Powerful Norton protection for your PCs, Macs, smartphones and tablets. The new Norton Security simply gives you the best of Norton for the many ways you connect with your PCs, Macs, smartphones and tablets. Get comprehensive protection that's specialized to secure your favorite devices. Stay safe wherever you go with proactive web protection, mobile device location, advanced privacy technology and more. It’s one solution for the different ways you connect. As you change the devices you use, we stay nimble and flexible, letting you easily move protection from one to another. New device? You'll be able to protect that one, too. Your product subscription includes the right to use this product on 10 individual devices during the product subscription period. Your product subscription begins upon initial installation and activation. 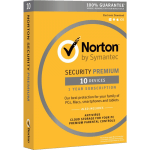 This renewable product subscription includes protection updates and new product features as available during the product subscription period, subject to acceptance of the Norton License Agreement included with this product and available for review at symantec.com. Product features may be added, modified, or removed during the product subscription period. Should market or aggregate customer device usage patterns change, Symantec may, at its discretion, increase device allowance at any time during the current product subscription period.